Rare, award-wining vintages were in great supply at the Crystal Palace on Saturday as the All-Canadian Wine Championships hosted their annual Uncork Canada tasting event. The fourth annual such tasting session was held in support of the Prince Edward County Memorial Hospital Foundation and initiatives supported by the Rotary Club of Picton. In total, over 700 wines, meads and ciders produced in all corners of Canada were ready to be poured to over 100 taste testers Saturday afternoon. 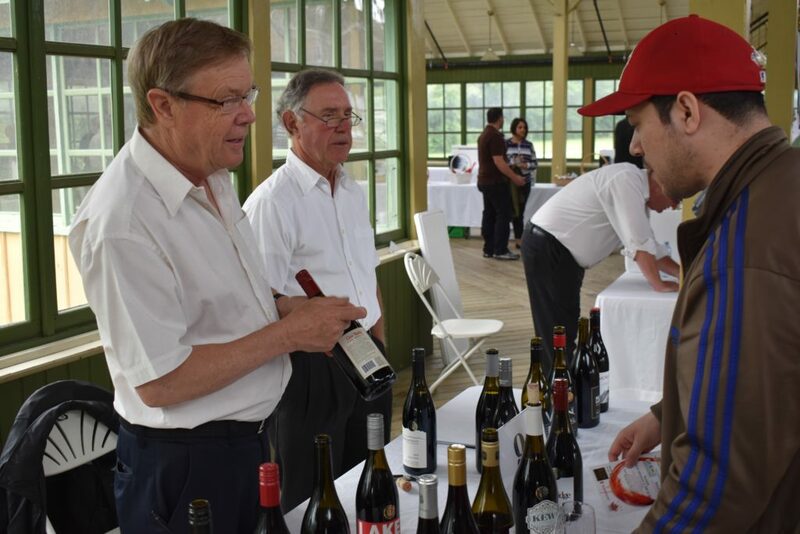 Chris Rodgers of the Rotary Club of Picton explains a rare vintage at the Uncork Canada event on Saturday. The gathering offered both local and visiting would-be wine aficionados a chance to align their taste buds with those that decide the best in the world’s oldest and widest continuing wine competition that was created nearly four decades ago to promote Canadian wines and the wine industry. 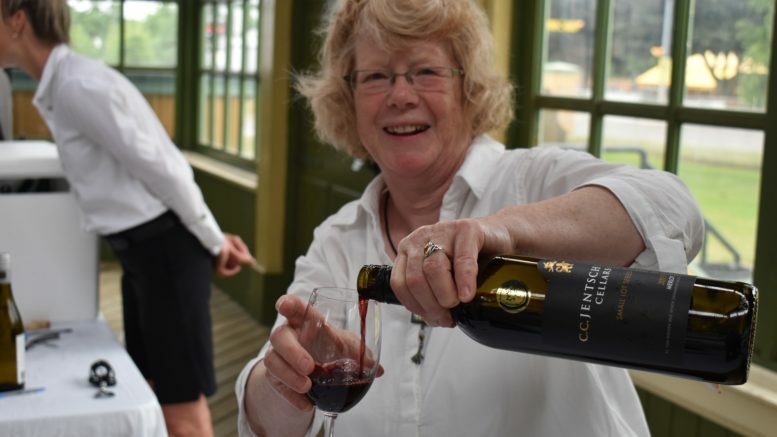 Bev Carnahan, head of the ACWC, explained that 80 per cent of the wines ready for tasting on Saturday were recognized as award-wining vintages at last week’s championships with the majority of the field originating from wineries stationed on the ‘Left Coast’. “About 61 per cent of the entries come from British Columbia so a lot of these bottles are not available through the LCBO system,” Carnahan told the Gazette. Tallies were still underway this week although it’s expected the event raised upwards of $8,500 and those monies would be split evenly between the local service club and the medical fundraising arm of the local hospital. In order to be a part of the ACWC, wineries and cideries submit three bottles per entry and, typically, there is at least one bottle left over after judging. Those extra bottles are donated to the community through the Uncork Canada program. In terms of submissions, there were was at least one wine from every province with the exception of Newfoundland and Manitoba.